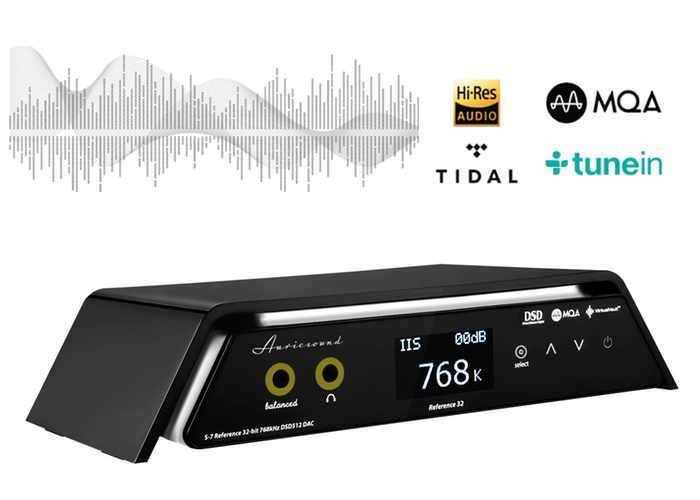 The new AuricSound ESS Twin SABRE 32bit ES9028Q2M 768kHz DSD512 DAC has launched via Kickstarter this week offering superior conversion and a purer sound, say it’s developers AuricSound. Watch the demonstration video below to learn more about the AuricSound ESS Twin SABRE DAC which is now available to back with pledges starting from $259 and shipping expected to take place during October 2017. File supported by the DAC include MP3, DSD, DSD-IFF, FLAC, ALAC, WAV, AIFF, MQA and AAC. The development team at AuricSound explain more about the specifications of the DAC and its design. The compact AuricSound S7 unveils astonishing layers of detail in music, opening up the soundstage, improving instrument separation, and propelling rhythm with irresistible energy. Hear your favorite songs as if for the first time, and get fresh insight on the music you love. There’s Twin SABRE® Reference 32bit ES9028Q2M 768kHz DSD512 22.5/24.5MHz DACs and amps offer balanced output. The AuricSound S7 will satisfy anyone who loves music, and those who are curious to hear just how good their headphones can sound. Take your digital music collection to another level with High-Resolution Audio. By capturing music at a higher rate than CD (up to 768kHz/32-bit, rather than 44.1kHz/16-bit), High-Resolution Audio allows you to get closer to the original studio recording and enjoy your music just as the artist intended. With a dedicated USB DAC amp connecting your headphones and compatible Mac, PC, iPhone or smartphone, you’ll enjoy higher quality streaming of High-Resolution Audio. The amp takes over responsibility from your portable device for processing and converting digital data, then amplifies sound using its own integrated amplifier.